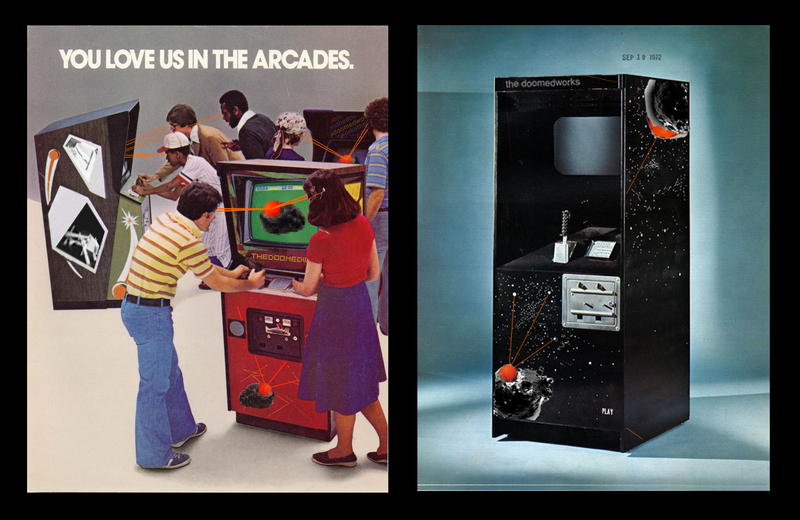 thedoomedworks arcade machines, circa 1970. digital image of film. “Our doomedworks arcade systems have been enjoyed by many over the years. Aside from the pleasure of playing on our wonderful hardware and software, we hope we have been able to inform and teach the user at the same time as having great fun”..thedoomedworks studio ’89..
the main blog page shows a stream of images being taken of work in the doomedworks studio, feel free to comment. the site has several areas for you to explore. the top navigation allows one to visit useful pages or easily navigate from where ever you are on the site. the doomedworks is happy to discus the use of its materials. for both public and private use our 'guides' will prove a enjoyable teaching and learning tool. all images are copyright unless otherwise stated. Dan Vaughan 2010, 2011, 2012, 2013, 2014, 2015.